Nathan Meier has been named assistant vice chancellor for research, effective May 6. Meier has held multiple leadership roles in the Office of Research and Economic Development, and brings expertise in faculty engagement and research initiative development at Nebraska and the University of Alabama at Birmingham. Engaging with deans and associate deans for research to ensure the university meets the goals outlined in the strategic plan for research and economic development. Supporting efforts to enhance faculty competitiveness for external funding across disciplines. Tracking faculty members’ research and scholarly interests, in order to develop a portfolio of projects that are positioned to pursue external funding. Monitoring federal and private priorities and programs, with the goal of identifying opportunities for faculty. Building relationships with organizations and individuals whose interests align with the university’s needs and expertise. Connecting project directors and teams with institutional resources to ensure projects are launched successfully. Currently, Meier is director of research development in the Office of the Vice President for Research at UAB. 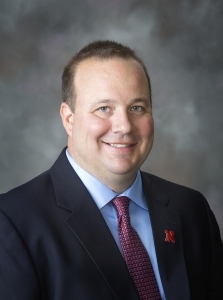 In Meier’s previous 15 years at Nebraska, he served as assistant vice chancellor for research, director of research strategy and proposal development manager. In 2018, Meier received a Rising Star Award from the National Organization of Research Development Professionals. Meier holds a master’s degree in technical and professional communication from Auburn University and a bachelor’s degree in English from the University of Nebraska at Kearney.